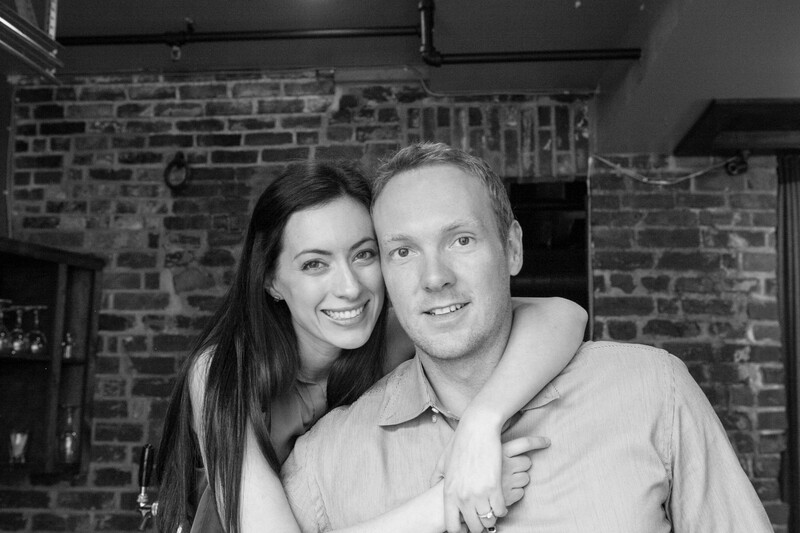 We sold our house, packed our lives into backpacks and took a career break to travel the world! Check out our blog as we walk the fine line between work and pleasure. 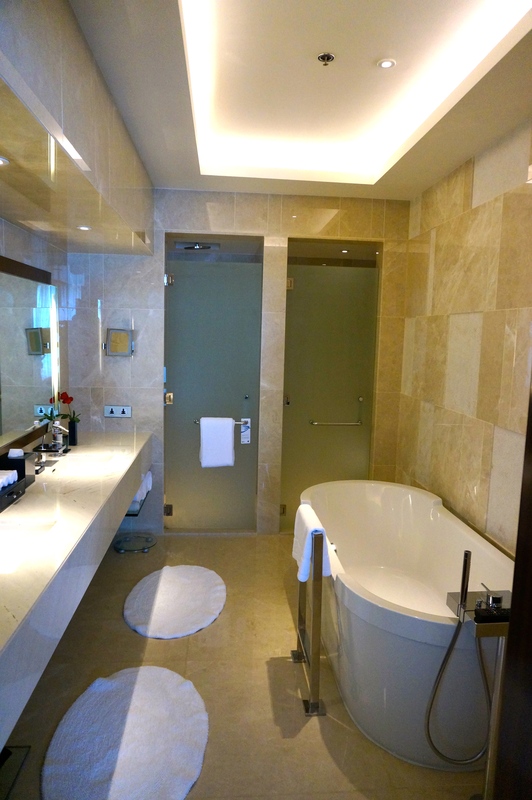 We recently spent one night at the JW Marriott Hotel Hanoi during our month-long tour of Vietnam. 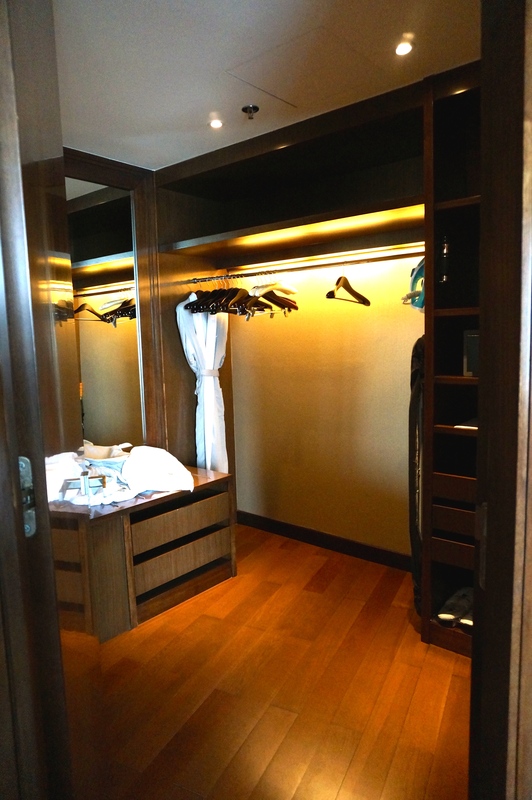 Needless to say this hotel was our ‘poshest’ accommodations in Vietnam. Actually, the ‘poshest’ of our current round the world trip. Opened in October 2013, the property is designed by famous architect, Carlos Zapata, the same architect who designed the iconic Bitexco Financial Centre tower in Ho Chi Minh City. The hotel is situated outside of Hanoi’s bustling city centre and serves as a retreat for both tourists and business folk alike. A taxi to the hotel will cost just under 400,000 VND (approx. $23 CAD). However, the hotel does offer a limousine service to and from the airport. 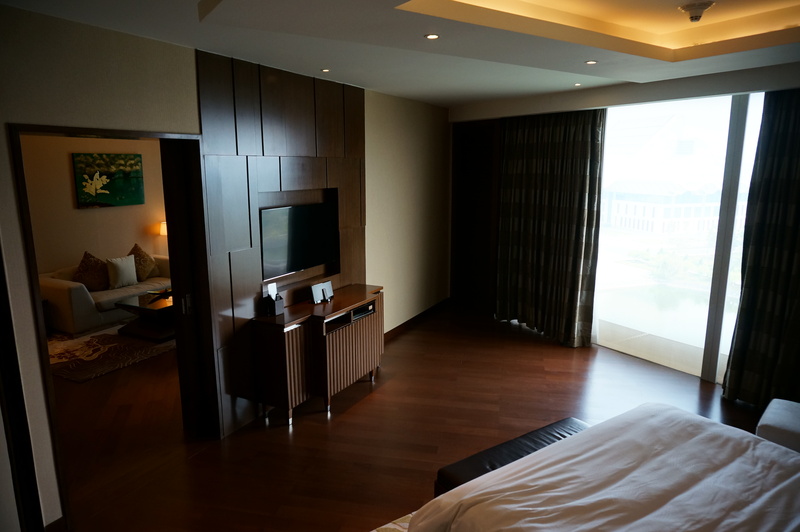 Upon arrival, our check-in process was flawless, and the best part; we had been upgraded to an Executive Suite Lake View room! Our Executive Suite Lake View room had a separate living and office area, large walk-in closet and en suite master bath with his/her sinks, a large soaker tub with flat screen TV, and a separate shower with waterfall shower head. There is also a separate powder room in the hallway near the main entrance. 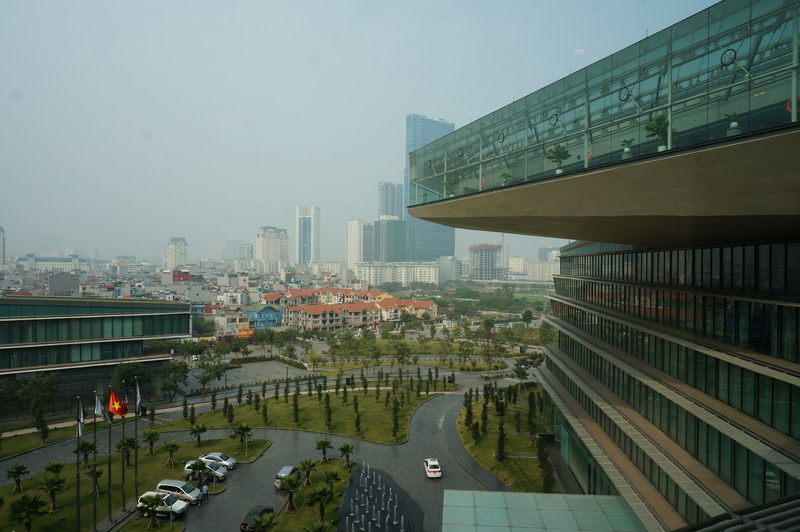 Floor to ceiling windows in both the living area and bedroom offer views out over the lake and gardens below and Hanoi’s city centre in the distance. Needless to say, we were excited! After spending several months travelling around SE Asia, having this much space, and a bathtub was a HUGE treat! The hotel has the fastest WiFi we’ve had during our three week stay in Vietnam, and actually, the fastest we’ve had in SE Asia to date. It worked everywhere in the hotel, perfect for blogging, uploading images, etc. WiFi was included in our package and is free for Marriott Rewards members. We had access to the Executive Lounge and enjoyed both afternoon tea and evening cocktails. Afternoon tea offers an assortment of fruit, cookies, and of course tea and coffee. In the evening, there is a large spread of food, from cured meats, cheese and bread, to fresh and dried fruit, veggies, and nuts. There is also a hot food section serving chicken quesadillas, spring rolls and dim sum. Beer, wine and spirits are available during happy hour, in addition to non-alcoholic options. 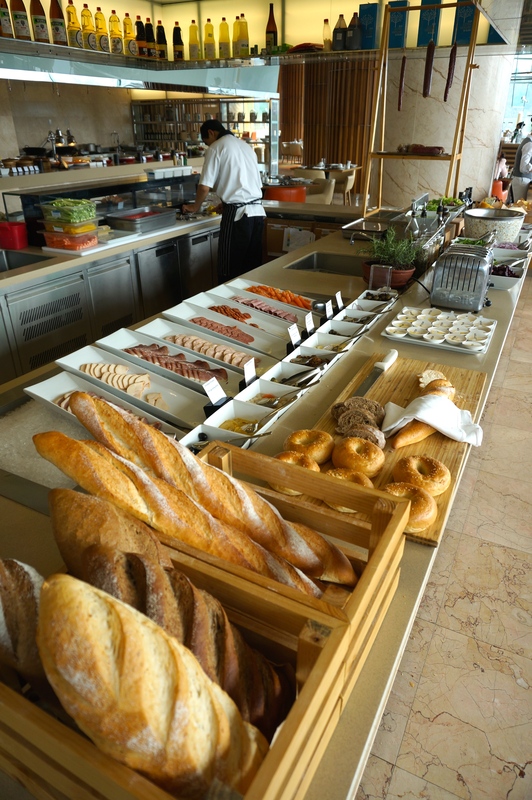 The hotel’s breakfast buffet at JW Cafe is amazing. 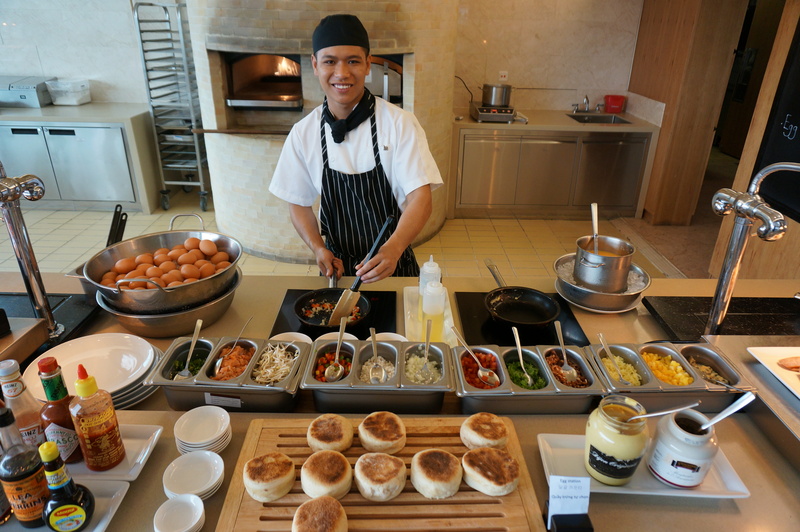 They’ve got an egg station, where you can pick from the usual fried, omelette, or poached. For meat lovers, there is grilled bacon that they slice for you and it is to die for. 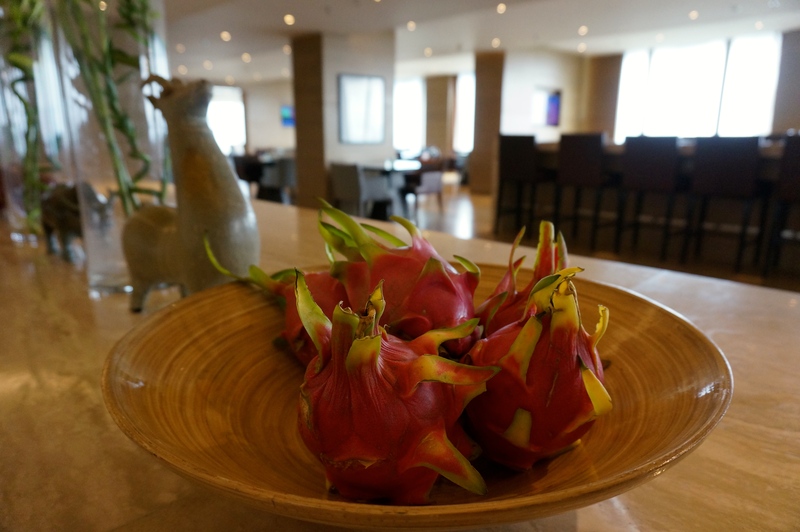 There is a huge spread of fruit, salad, breads, pastries and Vietnamese food. We were told their pho was amazing, but our plates were full and so were our stomachs! 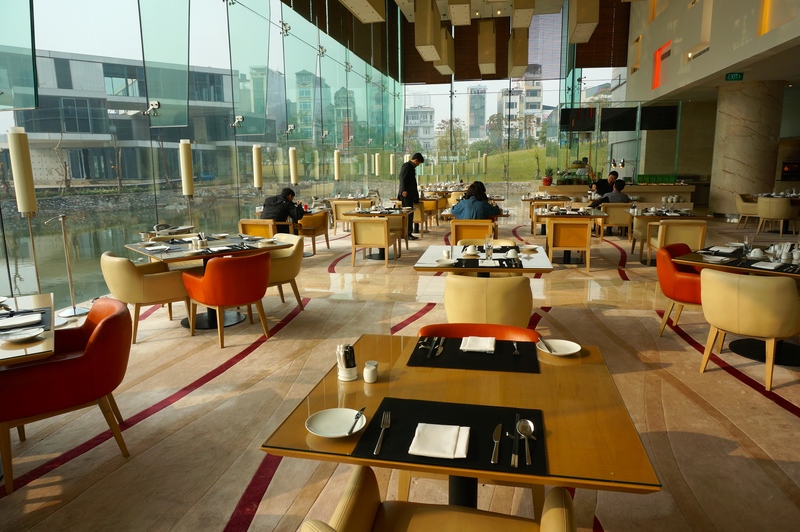 In addition, other 5-star dining options include: French Grill, JW Café, Crystal Jade Palace, The Lounge and Antidote Bar. 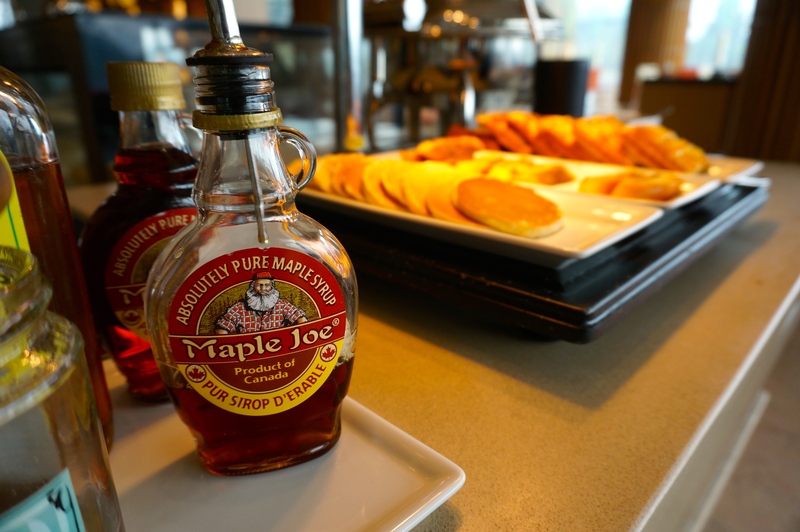 Had to get a plug in for our famous maple syrup! 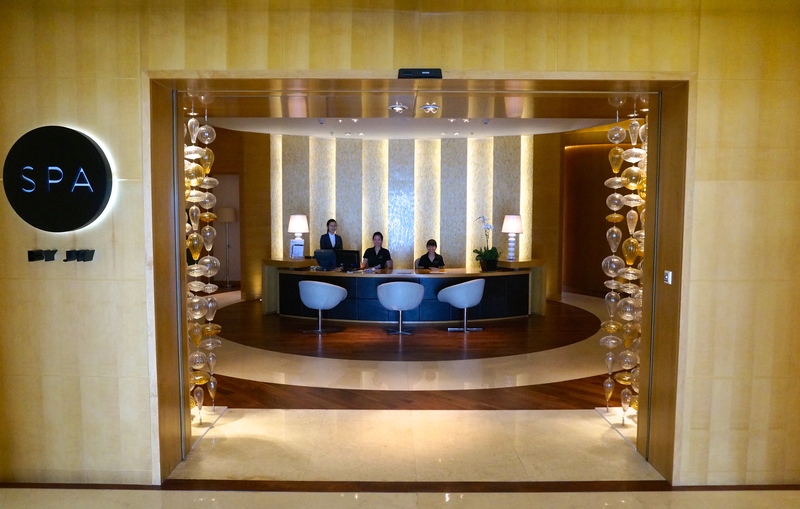 The hotel is located about 40 minutes south of Hanoi’s main airport and to the west of the city centre. There is a shuttle bus that runs three times daily from the hotel to city centre. The location is ideal for exploring the hustle and bustle of Hanoi by day and relaxing on the beautiful hotel grounds by night. 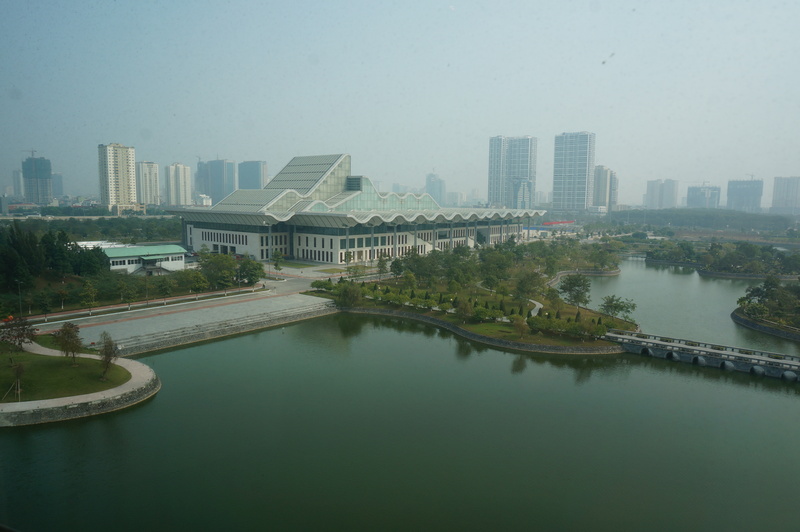 Or you can forget about exploring Hanoi and find plenty to do right on the property. 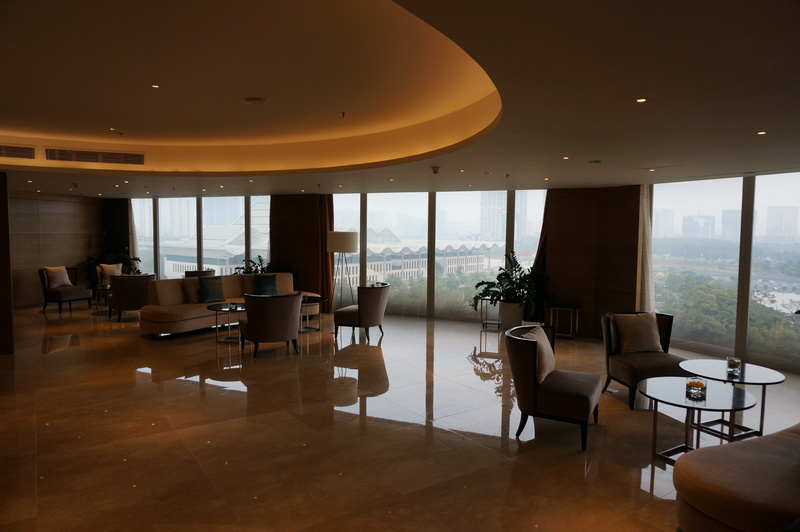 The fitness centre, pool and spa are all located on the 8th floor, which has incredible 360 degree view of the city. 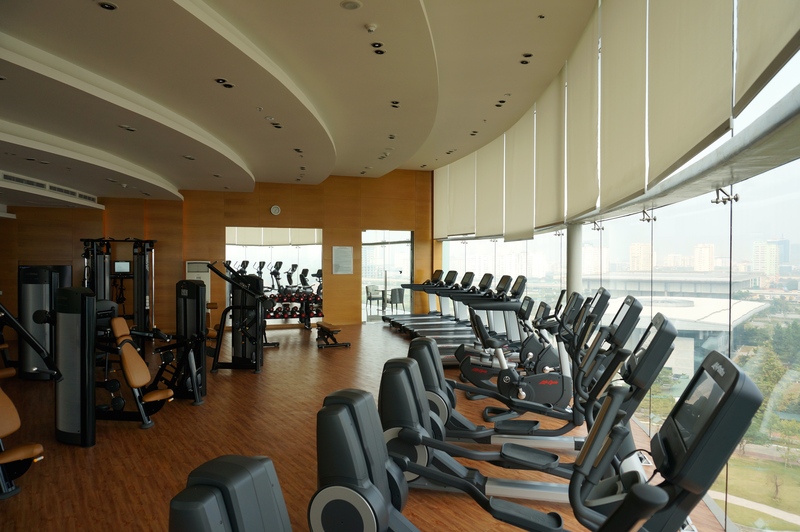 The gym is fully-equipped with brand new cardio and weight training equipment. 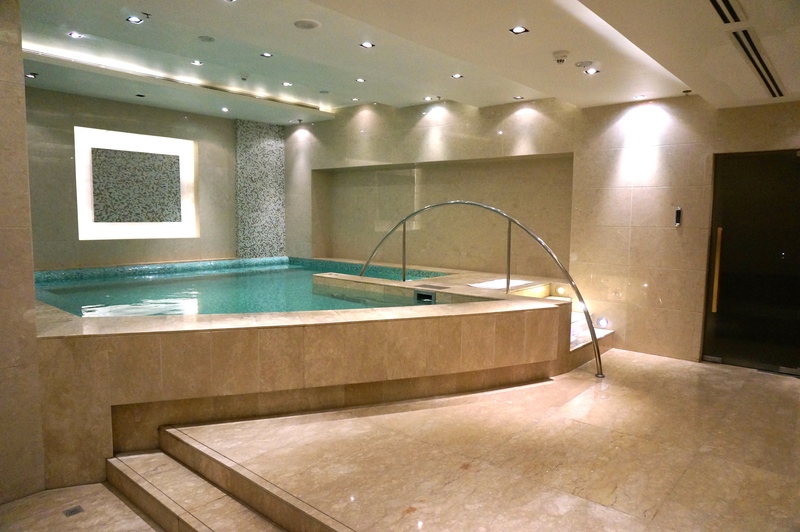 There is a separate room for stretching, yoga and even a ballet bar if you are so inclined! The gym is open 24 hours. The pool area is top notch, with floor to ceiling windows surrounding the area. It is large and perfect for your morning laps. 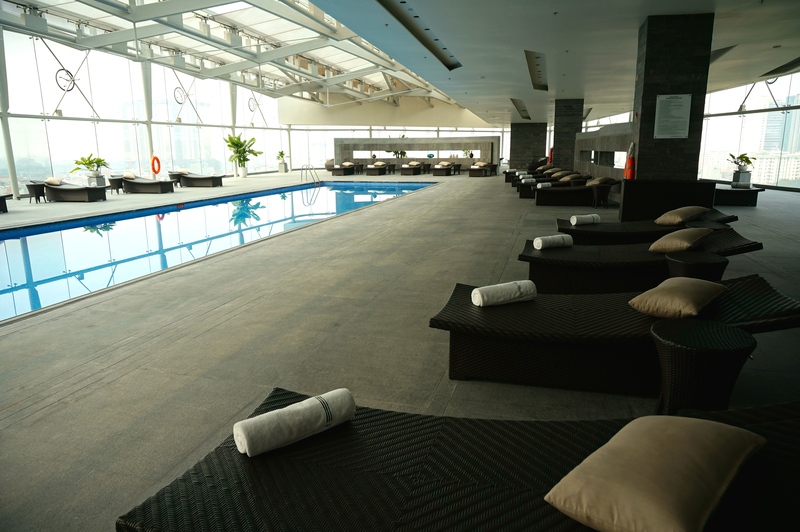 There are also individual and group lounge chairs all around the pool for relaxing or catching up on your reading. When we first checked out the pool on arrival, we were also on the hunt for a hot tub. We didn’t see one near the pool, but later found out there was a separate hot tub/sauna/steam room in both the male and female change rooms. Of course, we tried them out and weren’t disappointed! We didn’t partake in any spa treatments on this visit, but did get a chance to say hello to the staff, who were all very friendly! They have a full range menu of treatment options available. Of course, we weren’t staying at the hotel for business, but we thought it is important to note that the hotel is great for business travellers. 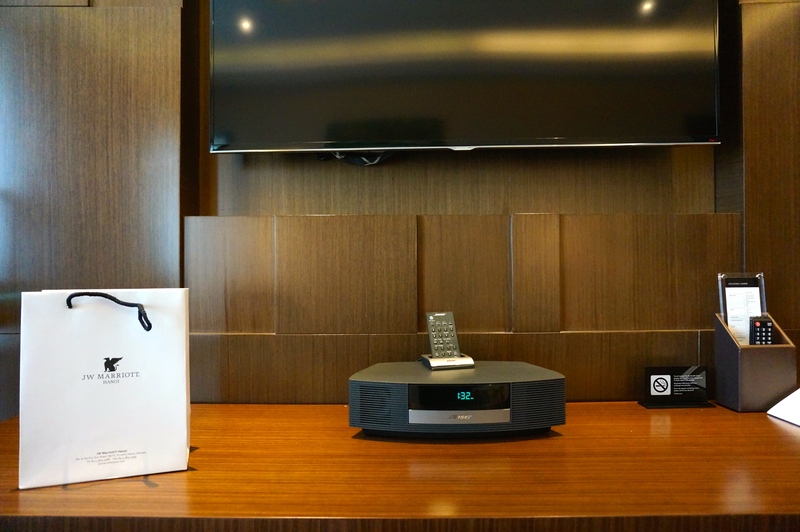 The Executive Lounge has conference rooms available for use and as we mentioned previously, lightning fast wi-fi. 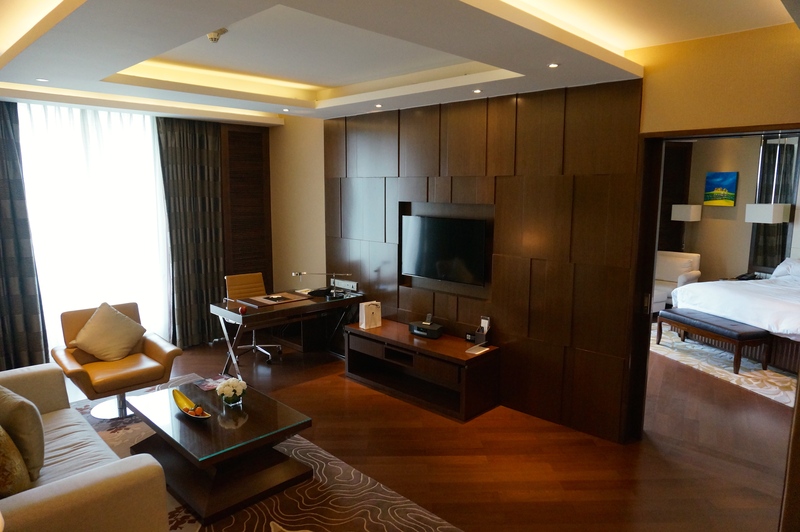 We had an incredible stay at the JW Marriott Hotel Hanoi. If we could move in, we would! It felt like the perfect city escape, yet close enough to the action that you can take in all that Hanoi has to offer. The facilities were some of the best we’ve seen, friendly staff, delicious food and beautiful decor. 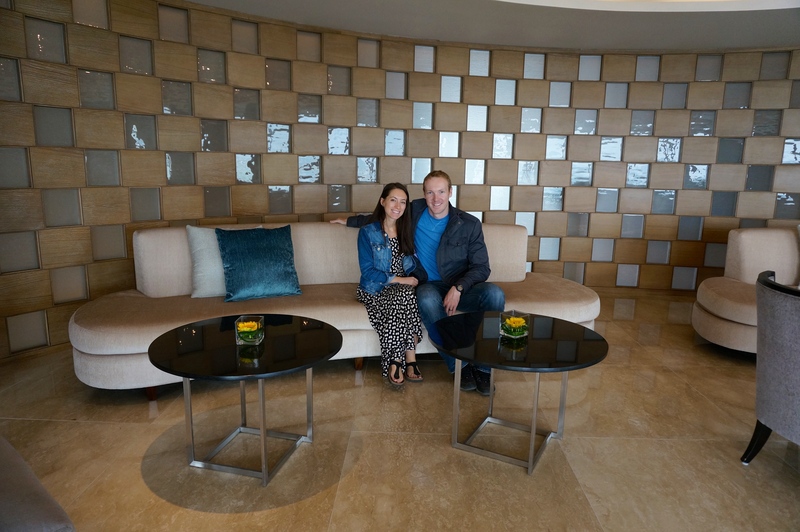 A huge thank you to Bob, Minh and the team at JW Marriott for making our stay so wonderful. 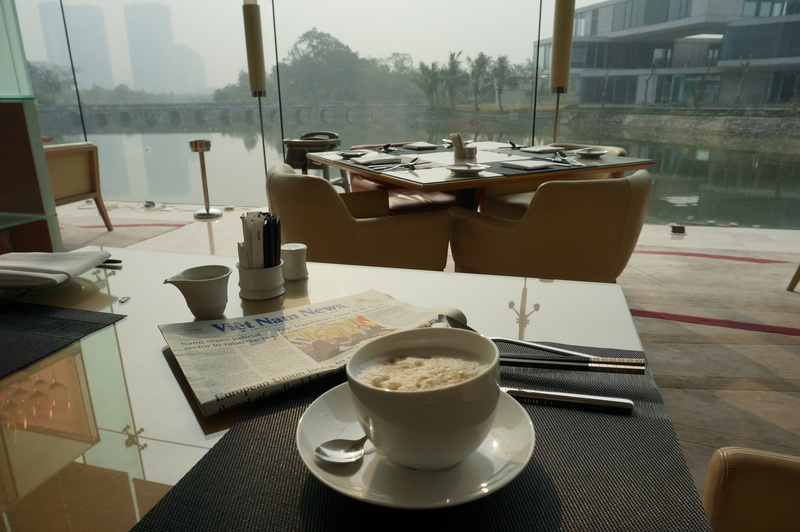 Finelinetravels was a guest of the JW Marriott Hanoi, however, as always, the views and opinions expressed herein, are those of finelinetravels only.